1Ft HDMI Panel Mount Cable. HDTV HDMI A type male to HDMI A type Female extension cable 1ft. 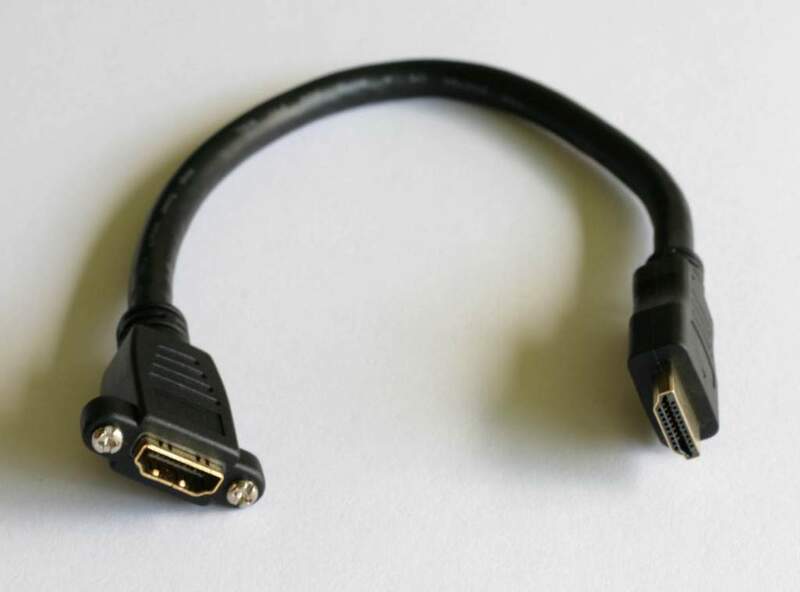 Compatible with all 19 pin HDMI male Cables. Supports HDCP. Supports Ethernet. Two screw attachment for Panel Mount of HDMI female. Panel Mount port For Embedded Applications. Easily Used with Raspberry Pi Board Etc.